Samsung expects to sell millions of Galaxy S4 units in the first month already, and people are already crowding to get theirs. You can get a brand new Galaxy S4 I9505, I9500 or you can get the US carrier branded ones. This includes AT&T, Sprint, T-Mobile etc. Now, besides the fact that the S4 has an amazing screen, impressive battery life and a big CPU, it also has a big problem, especially with the carrier branded ones. It seems that most of the users that received their new S4 are complaining about it being laggy. 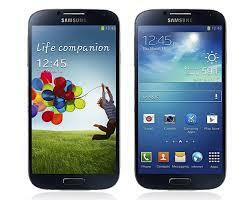 Many users are coming from a Galaxy S3 and are saying that it has more lag, or that it runs slower than the S3. Now that’s not something you would expect from a 1.9 GHz flagship device isn’t it? Though the problem is not everywhere, there are a lot of users that have noticed the lag. There is one big reason for that, and now I come back to the previously mentioned carrier branded versions. There is just so much bloatware (pre-installed software that eats up memory) that the RAM memory is really charged up and makes the phone a little slower. This is not such a big problem as you can easily disable most of the bloatware, and if you also decide to root your S4, you can also uninstall all the bloatware there is. This should make your device run a lot faster. When Custom ROMs will be available for the Galaxy S4, you will see how fast it really is. Developers have been doing a really good job on optimizing the ROMs and bringing out the best in any device. The S4 runs on a 1.9 GHz processor, so it should be incredibly fast. If you bought a new Galaxy S4, maybe you could share your experience with the device with us so we now if this is a common thing or is just happening to some users.